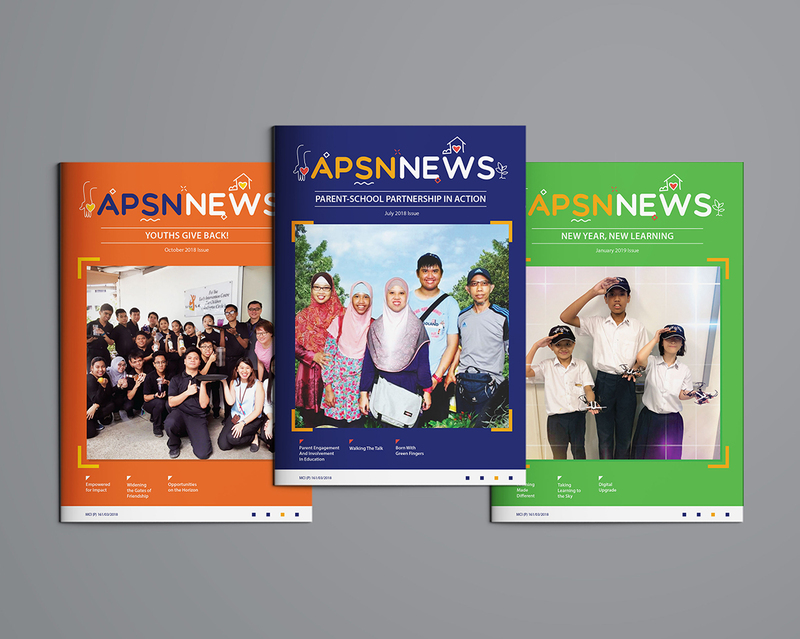 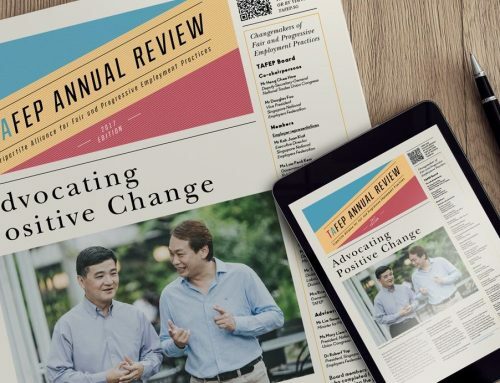 We wanted to create a lively and hopeful-looking newsletter that reflected the Association for Persons with Special Needs’ (APSN) vision of empowering lives for an engaged and inclusive society. 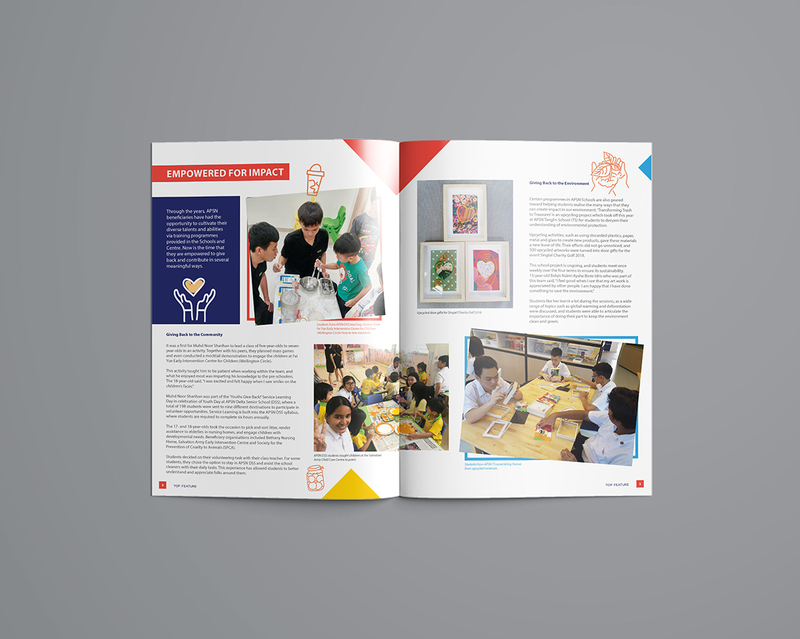 Rounded icons and bold colours are used lighten the mood of the newsletter. 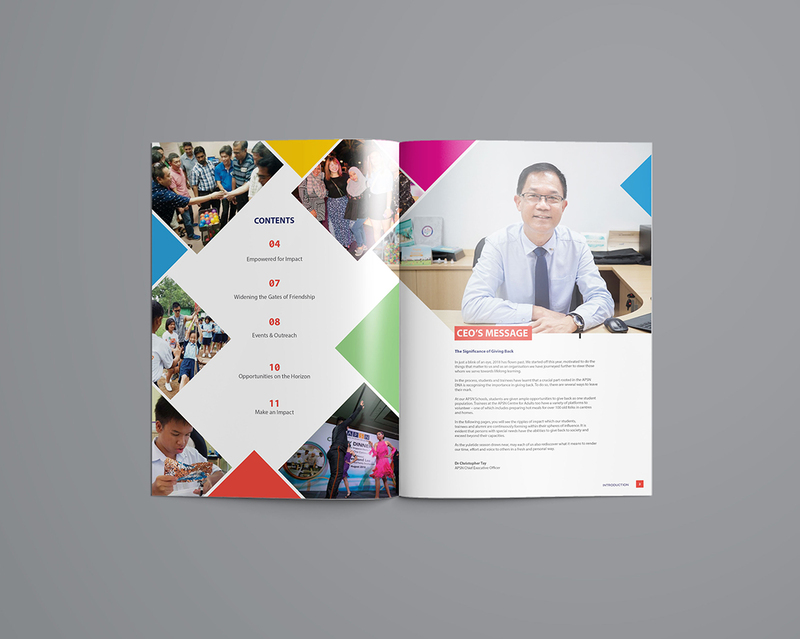 Angular shapes represent breaking from the conventional mould and embracing one’s unique differences. 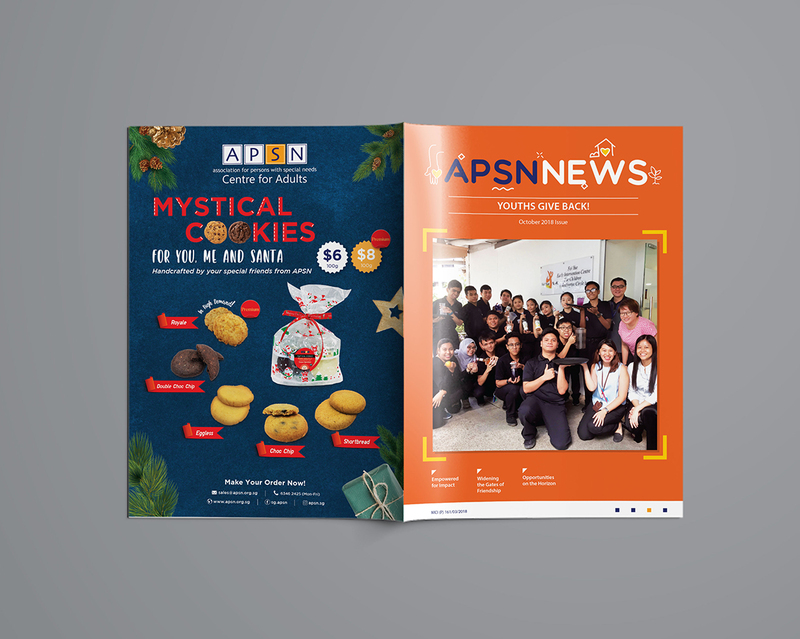 The masthead’s icons are particularly symbolic – a hand for showing care, a home for a loving environment, and a sapling for the students’ potential to grow.